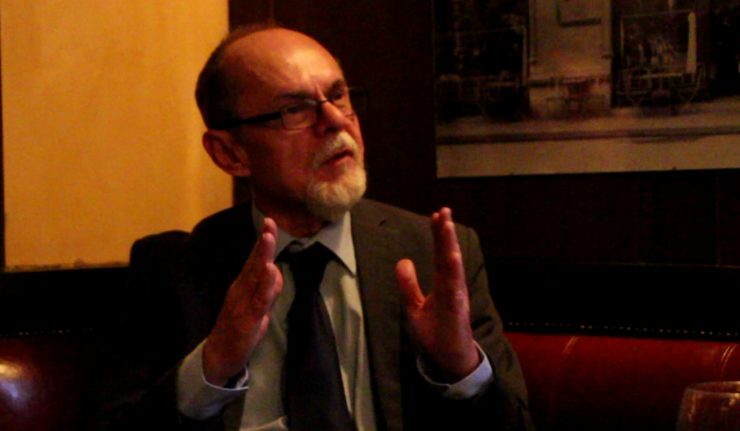 Interview with László Bogár, economist and university professor, former MP and former State Secretary of Hungary, publicist: “Our region is once again becoming a buffer zone whose geopolitical value is growing steadily”. Part 1/2 can be read by clicking here. You are currently reading Part 2/2. 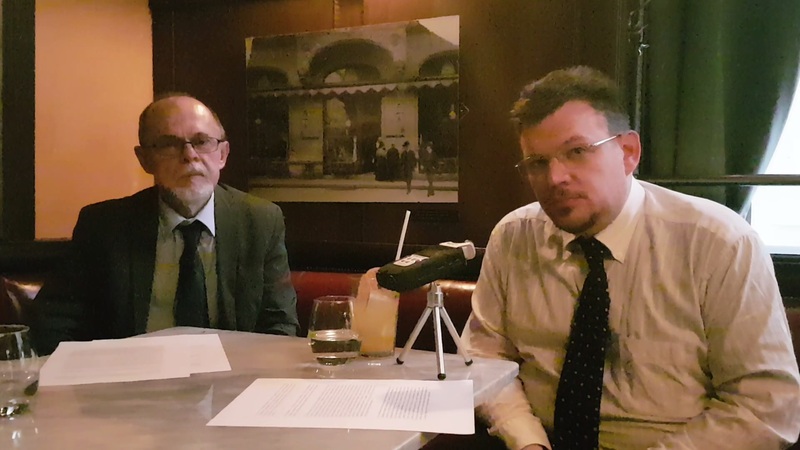 At the end of November 2018, Raoul Weiss met with László Bogár in Budapest for a interview without taboos on economical topics. László Bogár is since the regime change a well-known Hungarian economist: he is one of the economists who shaped the Fidesz’ economical policy. 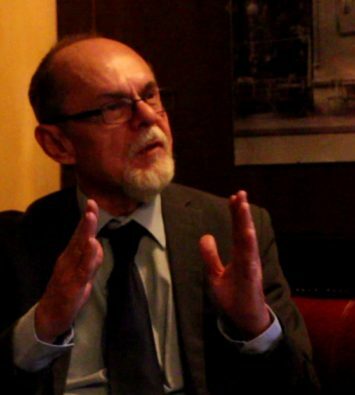 Author of 28 books, László Bogár has been State Secretary for political questions of the Ministry of foreign trade relations from 1990 to 1994 and State Secretary at the Office of the Prime Minister under Orbán’s first mandate, from 1998 to 2002. 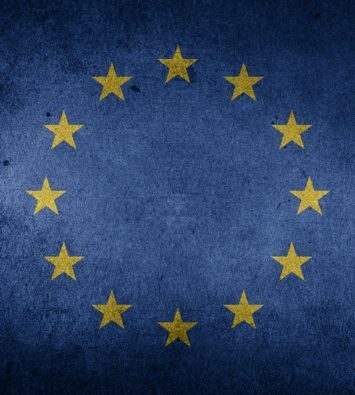 Very critical of the current capitalistic system and of the EU’s evolution, László Bogár is a shining example of what is a Central European “illiberal” economist. Raoul Weiss: László Bogár, what is the economic reality of the V4? Until now, the main trade routes in Central Europe have been the East-West axes. What does Central Europe lack the most in order to assert itself also in the economic field? 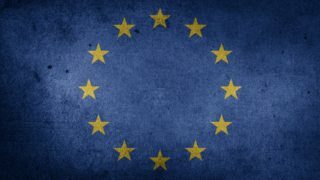 Are Central European economies not sufficiently complementary? Or is it the lack of North-South infrastructure – be it logistical or financial – to offset the dominance of East-West infrastructures? Finally: assuming that the V4 seeks to develop such infrastructure, to what extent do you think the West will tolerate such an evolution? In reality, all these countries are in the chains of the same plantation; in each of them, however, an awareness has arisen: they are beginning to understand the problem. Hungary is the country where the resistance is most marked, [for a good reason:] after Slovakia, we Hungarians are the most dependent in the group. Raoul Weiss: From this point of view, the most independent country would be Poland. László Bogár: It’s an intellectual difference, and it’s also about Viktor Orbán’s personality. It is linked to the fact that – even if the same could partly be said about the Poles and Czechs – the Hungarians, during the last three centuries, have been particularly forced to an optimal spiritual production. Not because they would in any case be more inclined than others to turn to things of the spirit, but because they were subjected to shocks, constraints and revolutions of such brutality, that their intellectual sensitivity must have come out of the process increased– I say this without underestimating that of the Czechs, or of the Poles, who have also been confronted with major existential challenges, bearing similar psychological consequences. The ranking, though, is still the same: when it comes to intellectual fermentation, which can lead to the definition of a new global trend, a thought, an alternative global narrative, Hungary is always leading, because, if we take stock of – say – the last three hundred years, it is certainly the country of the region which had to face most spiritual challenges. Note, however, that this situation does not create tension with the Czechs and Poles, who accept this leadership with no hard feelings: the Poles one hundred percent, but the Czechs too, overall. In the three capitals – Slovakia is not a full-fledged player – the basic dilemma is the same. It is a collaboration between three high-culture nations (Czechs, Poles and Hungarians), which of course have also been opposed by conflicts, but which, on the whole, can look back to a thousand years of sympathy and cooperation. 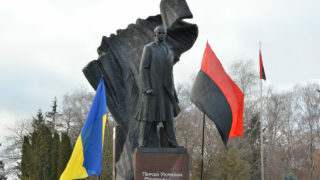 (…) Now, in these three nations, we are witnessing the same frontal intellectual clash between two sides. On the one hand, the local collaborators of globalism (…), which of course enjoy permanent international support. On the other hand, a camp that is more difficult to define. In Hungary, it defines itself as “the right”, the polgári camp, national and Christian, popular and conservative – as you can see, it defines itself in a rather diverse way. 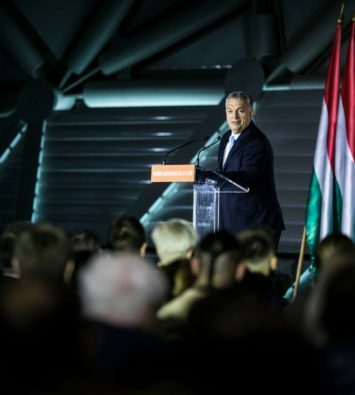 This uncertainty reflects in part internal conflicts – from this point of view, FIDESZ is also in itself a great coalition, the crossroad of many currents, unified by the synthetic effect exerted on them by Viktor Orbán: while still fighting each other harshly, they do understand that they put more chances on their side by choosing the path of consensus. How can such countries, threaded like pearls on the chain of global capital, living parallel existences and unable to relate to each other, possibly cooperate? To be able to do so, they first need a well-thought spiritual project. This is why I give extraordinary importance to the intellectual fermentation which is now happening. On the one hand, it is a mission that these countries will not fulfill within the next five minutes: it is, after all, nothing less than the opening of a new historical epoch, which should ideally be based on a lasting narrative, not a simple conjunctural arrangement or a passing optical effect that may vanish as soon as it appeared. This is all the more important as our region is once again becoming a buffer zone whose [geopolitical] value is growing steadily. Indeed, it is clear that the collapsing US empire, on the brink of death, is trying to weaken Europe, the EU, Russia and China – targeting each of these powers individually, but also by sabotaging as much as possible the networks that unite them. A perfectly logical strategy from America’s point of view – the trouble is that the biggest losers in this rampage are likely to be, once again, the countries in the buffer zone. Therefore, assuming this region does not want to pay the price again –let’s wish it does not! … Ukraine is the country offering the best image of the disaster that awaits us if we give in to the irresponsibility of myopic and selfish elites. From this point of view, Romania, too, is walking on thin ice … and might wake up with a painful hangover. Even the Baltic countries. Even the Poles, from time to time, are victims of an excess of visceral Russophobia, certainly understandable, but which may become dangerously counterproductive in the current situation. But if the conflict between Netanyahu and Soros worsens … and some signs point in this direction – on some fundamental topics, in particular: Netanyahu [for example] does not hesitate to declare that the fate of the Jews in Europe – and here we speak of at least 2.5 to 3 million people – is tragically influenced by the migration problem, a debate in which he assumed positions diametrically opposed to those of Soros. From this point of view, such a situation should give us hope, if only because it is now possible to open such a discursive space. As for the direction in which it will evolve, this is a completely different question, but [for now all is still about] the mere existence of such a discursive space, where it becomes possible to address these questions with sincerity and humanity, to simply assert that there is a conflict area. It’a all about the simple fact that it is no longer possible to call an idiot anyone who dares to approach this subject, to get rid of it expeditiously by means of all sorts of innuendos and suspicions. Since it is now necessary to take note of the opening of this discursive space, which it is no longer possible to close. I would even say that any sane and morally healthy person should rejoice at the existence of this discursive space; later on we will see to what conclusions it will bring us. Raoul Weiss: You are an economist, but an economist able to think beyond economy, to reflect about the fate of human communities. For the public opinion, if it were necessary to summarize in two words your reflections, the result would probably be: László Bogár, a thinker on the right. As far as I’m concerned, however, having read many of your editorials and followed a lot of the TV shows in which you participate, I have the impression that your perspective, in many ways, departs both from that of the mainstream European right, but often even from that of Hungary’s FIDESZ – or at least from the doctrine of the “first edition” FIDESZ in the 1990s and 2000s. When you write, for example, in the preface to your last book, that Hungarians in the 1950s were spiritually, morally and intellectually in much better shape than those of all subsequent generations. In view of such statements, it is obvious to me that we are moving away from “primary anti-communism” and that we are doing so to open up a critique of modernity that goes beyond the creed of polgári Hungary. 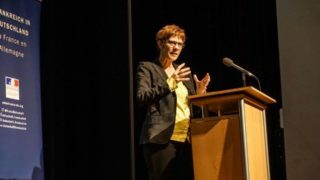 In fact, you are a living example of this paradoxical truth that we, at the Visegrád Post, seek to popularize: from an ideological point of view, this “illiberal” Hungary is far more open than contemporary Western societies, which are dominated by an increasingly threatening unanimity-constraint. László Bogár: All this is remarkably accurate. The reason is that – and there is no doubt that this was a lucky development in my life – for the last 16 years, I have not been subjected to the direct influence of political responsibilities. Therefore, all that I say and write is not the direct expression of this or that political current, but the consequence of my endeavour to force myself, and to force others, to contemplate with sensitivity the processes at work, both in the world, and in Hungary. Let’s have the courage to re-examine ourselves again and again. The courage of self-criticism. There is a media theory, called the theory of selective apperception, which predicts that, for reasons of energy saving, we have – all as much as we are – a tendency to pay attention only to such radio, television, press or other media contents which reinforces our beliefs; as for other contents, we do not even notice their existence. This is quite regrettable, insofar as it implies that, after a while, we end up having blinkers, or even feel that something is wrong (…); which makes you end up totally giving up. I know it’s very difficult, and often risky. [In spite of everything,] at the university, I always encourage my students to avoid thinking according to doctrines, despite the fact that higher education tends to indoctrinate them, which often terribly saddens me. I therefore strive, in my peaceful way, to wage an incessant struggle to keep up with what is – to put it now in the terms of a deeper philosophy – the only mission of man: to understand the totality of existence, and, once he finally gets to a harmonic understanding of existence, to fit into it, in a patient, peaceful and humble way. Raoul Weiss: This makes me want to ask you: can this attitude of openness, this sincerity in the search for truth, become mainstream in the long term in the political sphere as it is currently configured, i.e. mainly according to the paradigm “right VS left” – or do you think that a paradigm shift [will be necessary]? László Bogár: Such a change seems to me inevitable, in so far as it is also happening on a global scale. Look at Steve Bannon’s trajectory: how he seemed to come out of nothing, then seemed to go back to nothing (hopefully this is only an impression, because his ascent remains of great intellectual importance); in any case, he was seen getting dramatically close to, and then equally dramatically far from something that would have allowed him to exert an influence, not only intellectual, but also institutional. He is the man who assumes the intellectual paternity of the narrative that has removed Donald Trump from nothingness and despair to carry him to the presidential chair. And that’s why he was the first to fall out of favour. But this is yet another symptom that nowadays this is the side – the right wing, the polgári camp, the people’s side, the national, conservative, Christian camp, or all that at the same time, in harmonious or even conflictual combination –on which takes place the titanic intellectual work that must give birth to a new narrative, more or less unitary, more or less variegated, but capable – in its fundamental logic of existential interpretation – to provide the new global narrative. This is of course, for the moment, still a distant goal, and nothing guarantees even that it will be reached, but, from an intellectual point of view, there is constant endeavour in that direction – this cannot be overseen; to which we must add that we live in a world where the combat for the interpretation of fact, truth and reality has reached an intensity and visibility unseen in history. We might perhaps say that ever since ancient Greece, 2 500 years ago, we have not seen such an open and daily questioning of the foundations of fact, truth and reality. The current situation is that intellectually, humanity is moving towards the most total chaos. (…) Once again, we have to acknowledge the duplicity of the tool – from the flint axe to Facebook: it can be the instrument of building and healing, or that of destruction and degeneration. As for which of these two scenarios will prevail, this is essentially linked to the evolution of the spiritual civil war, the ongoing global civil war: which of the competing narratives will be able to make the largest population chunk believe that they should take this or that direction, considering that all other narratives –as it is now becoming even visible – lead humanity to its loss, including from an ecological point of view. (…) The worst thing is that some of these deceptive narratives claim to provide a solution to the ecological problem. Let’s not forget that among the financial sponsors of Greenpeace, we find some of the worst polluters on the planet. Now we are witnessing the same processes in the spiritual sphere, since there is not one nature, but two: one is the external nature of man, the other, his inner, spiritual, moral, intellectualnature. And, in both natures, we are playing the spiritual equivalent of a global chess game, which would be at the same time a poker game in which every player is lying about his hand. Raoul Weiss: Let’s turn a moment to the left. 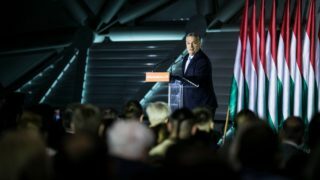 In Hungary – when seen from a French perspective, at least – one is struck to see that the pro-government press has the habit of blaming all the worst enemies of FIDESZ as”Marxists” –no matter, whether they target circles close to the Hungarian Socialist Party (which is indeed the heir of a single party that once was officially “Marxist-Leninist”), “ecologists” of the rather atypical LMP party, Macron-like ultraliberals of the Momentum party, or even the formerly far-right Jobbik party, ever since its recent “LGBT U-turn”. For me, I did read Marx, and I often have the impression that László Bogár has understood more out of Marx than, say, Gáspár Miklós Tamás, who, nevertheless, has obviously also read Marx. However, the true ideology of the latter (and this statement could be extended to all of the above-mentioned opposition movements) does not seem to be at all classical Marxism, but rather the kind of“radical illuminism” advocated and studied, for example, by Jonathan Israel. Nobody, though, would ever claim that László Bogár would be a Marxist; but perhaps the time has come to introduce also in Hungary the distinction – already common for a long time in French philosophy – between Marxists (those of Marx’s readers who also adopt his revolutionary program) and Marxians (those conceptually enriched by Marx’s thinking,who, however, do not become Marxists)? László Bogár: A story is told about Marx – authentic or not, but a long-living one in any case: Marx, who was a choleric man, amidst a fit, declares that he is certainly not a Marxist. Until the end of his life, he strove to remain mentally flexible: to assimilate contradictions and, if necessary, to modify his own views. It must be recognized that Marx was a true thinker. From this point of view, even if we do not accept any of his views, we should still recognize in him an intellectual phenomenon worthy of attention. As for me, what seems to me the most objectionable to Marx – whose analyzes, though, always gave me food for thought –are the writings of his youth, those of his journalistic period, that show a Marx who has nothing against Capitalism, who is in no way opposed to modernity, modernization – quite the opposite! … Those writings leave no doubt that, for him, capitalism has a fundamentally positive function. When it utterly ruins, first spiritually, then of course materially too, what he then sees as his real enemy –traditional sacredness –, he welcomes it without any hesitation, and he does so in Germany during the end of the first third of the nineteenth century! This is what opposes me directly to his thinking. But let us return to “dialectical materialism” (the name under which Marxism was taught in Hungarian universities during the communist era): to me, the dialectical interpretation of history suggests exactly the opposite narrative. For me, it is the “Enlightenment” that I see as a process of systematic spiritual darkening. And – even if this argument may seem demagogic – let me point out that 95% of the tourists who visit Europe – whether internal or external tourism –, when visiting cities, are looking for the products of that dark age that preceded the Enlightenment, the age of the cathedrals, rather than those of the following ages – which, in my opinion, speaks volumes. Even if we had no other objection to the doxa, it would still be worth thinking about: how to reconcile this fact with the general idea that there was first a dark and horrible and inhuman “middle age”, followed by a wonderful age, after which everyone is happy, because humanity has reached the time of perpetual peace, well-being and happiness – at the end of which, in accordance with Fukuyama’s predictions, the triumph of global liberal capitalism solves all our problems in one movement. If there is a dialectic of history, as I get older, I am more and more prone to agree with Spengler, who, in the Decline of the West, misses no opportunity to emphasize that history, as such, does not and cannot have purpose or meaning. What exists are cultures, enormous flashes, gigantic cultural exploits, during which man, within the framework of a certain configuration of being, by application of certain self-repeating patterns, or fractal structures, gives birth to fantastic, breath taking creations: the age of the cathedrals. Then, like everything that lives, it reaches a peak, becomes lazy, hardens, becomes heavier. This is, however, the main reason for his distinction between culture and civilization: the West began as a sacral culture, during – say – six centuries, those of the Romanand Gothic styles in architecture, then, for some reason, the mechanism derailed. At that moment, it is so full of itself that it becomes parasitic. No longer yielding new cultural performances, it begins parasitizing itself, then discovers more and more the means of parasitizing others: it is the age of the “great discoveries” and colonization. Then, in the end, it stagnates: nowadays, obviously, Westerners even lack the will to reproduce. They still live a short hedonistic phase, making a living out of all kinds of scams, but they’re more and more unhappy, more and more bad-tempered, more and more degenerate. Unfortunately,this phase was the last century. Spengler did not pose as a prophet. He too only made suggestions. And he was not a scholar. His book is rather philosophical poetry – which, as we can see, reaches deeper layers. By staying at the level of instincts, intuitions and suggestions, in fact, he gets a more accurate portrait of this entity known as the West. If, therefore, there is a dialectic of history, if history has the slightest sense and purpose –an idea in which I tend to believe less and less – then the answer can only be the one given by Spengler: when a great culture is in the process of ascension, all – from the individual to the greater or lesser groups of individuals –spiritually strive to bring to the surface all they are capable of. Then, for a while, they try to maintain what they have produced. And then, after a while – to paraphrase a line by Attila József – “everything that exists falls apart”. On the entropy scale, there is no [backtracking]. Everything in this world that comes into existence ends up, of course, deteriorating. As long as [a culture] retains its spiritual strength, the force that allows it to maintain order – by which one must naturally understand: the order of the sacredness – and to elevate it to an ever higher organizational level, it keeps evolving forwards and remains truly precious, ascending; then, from the very day this stops functioning … It is also the case of our [individual] lives: obviously, they reach a climax, which is the moment when we are theoretically capable of all the successes – both physical and spiritual – of which man is capable in this world. In practice, this is a point that most often we do not reach, but there is in any case a culmination, after which we let go, and this is not surprising. We always imagine that everyone dies, but that we will live forever. Empires, too, those types of organization of being, and large cultures, show this tendency to imagine themselves as immortals. Now, if I dare say: nothing is eternal, except change. But the essence of change is to operate in cycles: conception, birth, ascension, decline, collapse, destruction – then, in the happiest case: return to humus, where a new life can germinate. I like to believe that in Latin, humus (the earth), homo (man, humanity) and humilis (humble) are derived from the same root. I hope that this coincidence of man, earth and humility in some archaic stratum of language is not the work of chance. Translator’s note: we decided to give up on this Hungarian word, which is largely untranslatable to most Western-European languages; several equivalents (such as “civic” or “bourgeois”) can be found in dictionaries, but, in such context, all of them would be highly misleading. Polgári is an adjective derived from the substantive polgár, which was borrowed from the medieval German Bürger (which also gave bourgeois in French and, hence, English); this word can sometimes be translated as “citizen” (an English word sharing the etymology of German Bürger), sometimes by “bourgeois”. In Western-European languages, however, in a political context, the civic notion tends to refer to legal citizenship, i.e. to a republican(i.e. modern, anti-monarchical and secular) view of the nation – which is not the case of Hungarian polgár– whereas the political use of the term “bourgeois”evokes economistic and liberal Weltanschauungs – which, again, is not the case of the Hungarian word (for diverse reasons – the most important probably being the difference in industrial development between the two sides of the continent, which explains why Hungary has, until these very last years, never grown a modern –i.e. : urban and industrial –bourgeoisie). 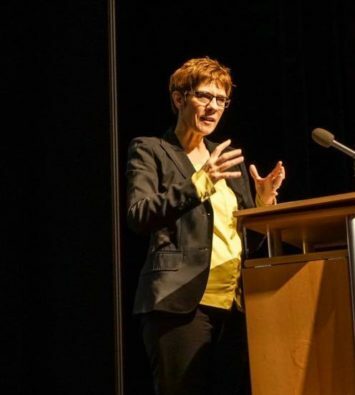 CEU professor and a major figure of anti-FIDESZ demonstrations. I highly enjoyed the discourse of Mr. Bogár, but rather for its sophisticated form than for the fond. As for the ideas, I agree with some and disagree with others. The one I oppose the strongest is that Russia can be approached as a partner of any kind. Sorry, but Russians will always be imperialists and a back stabbers, you can only lose from having to do with them. You can have your typical East European anti-Russian “daddy issues” all you want but there is no salvation without Russia, it is that simple. The USA is lost to the New World Disorder forever, gone…demographics have done their work there, Trump is too little too late. Furthermore there is the possibility that Western Europe will be gone too.